One of the most common health hazards in the workplace, noise can have serious impacts on our health, safety, and well-being. Noise can be annoying and disruptive, risk our safety if signals, speech and machinery can’t be heard, and even permanently damage our hearing. 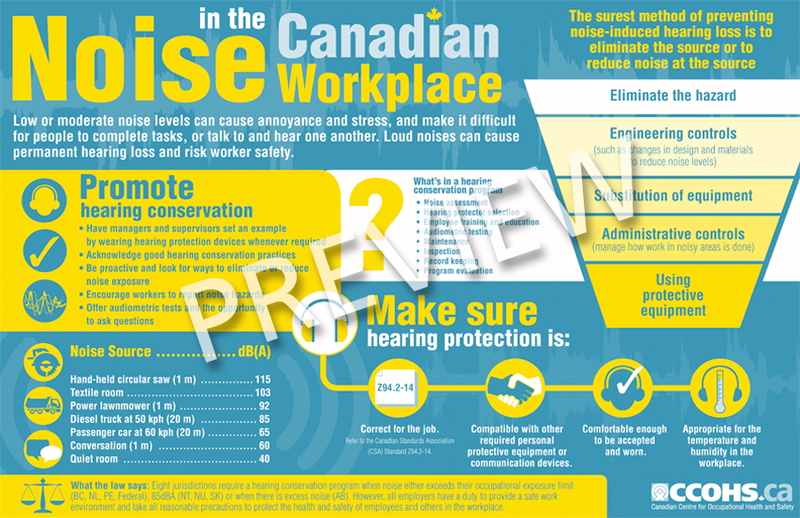 Share this infographic which outlines what the law says and ways in which workplaces can be proactive about preventing hearing loss.